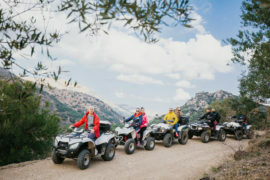 This tour is the most suitable excursion for swimming and relaxation all the day on the famous hippies’ beach in Matala. 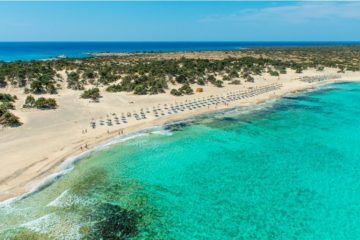 This is one of the most popular tourist destinations of Crete and certainly the most famous beach of south Heraklion prefecture. It is famous for the carved caves in the rocks and the hippies of the ‘70s. 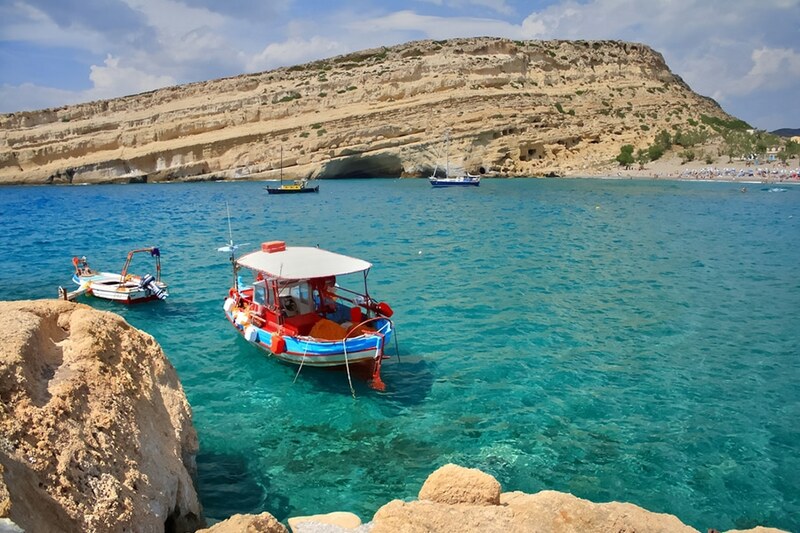 You have plenty of time to discover the hippie’s caves, to swim in the clear crystal waters of Matala. Having lunch on the taverns which are located on the beach and enjoy your coffee relaxing and sunbathing under the warm sun. Before we arrive in Matala, we make a short stop in Kaliviani Monastery. It is a relatively new monastery which was built on the ruins of an older one. Kaliviani is a typical example of a foundation that offers help and charity to poor and needy people. In 1956, the bishop Timothy Papoutsakis created a Christian Foundation based in the monastery. He built an orphanage, hospice, and housekeeping school for girls, elementary school, kindergarten. As well as, summer camps, workshops of weaving, knitting and making vestments, etc. 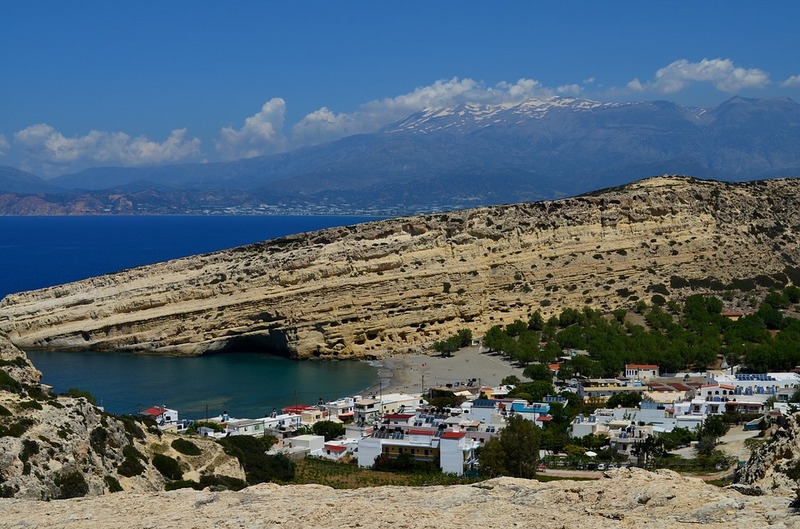 Matala is located at the exit of a small valley, which forms an enclosed bay with a nice view to the islands of Paximadia. 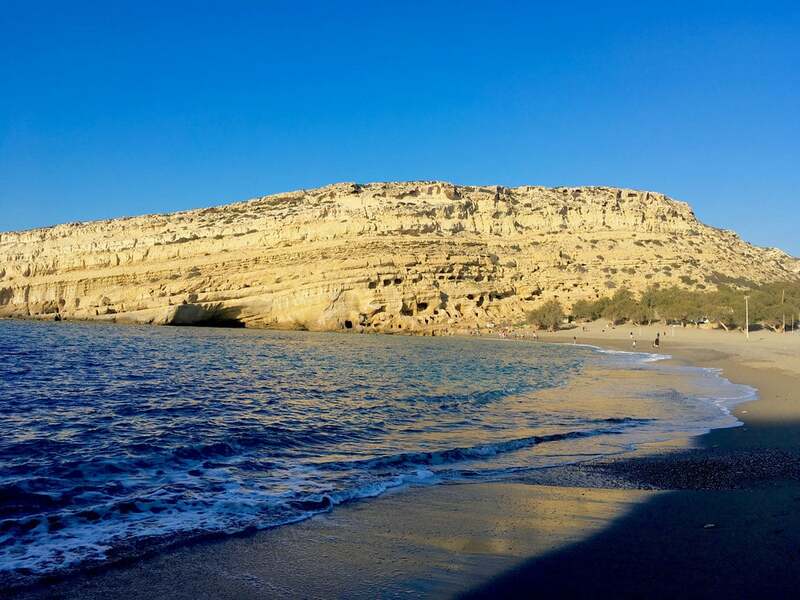 The beautiful sandy beach is 300m long, with fine gravel and crystal clear deep water. 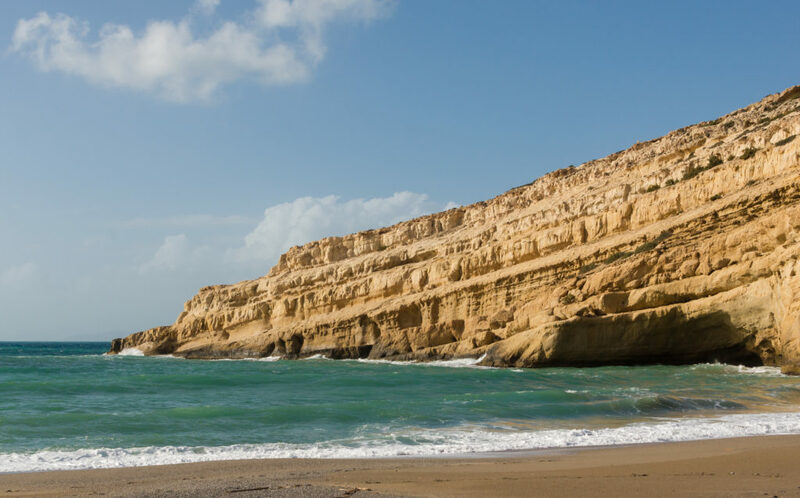 Moreover, the seabed is quite rocky in some places (especially in the central part of the beach) and waves are common, due to frequent west winds. Furthermore, there is a huge cave on the north part of the beach, from the top of which some people dive. The beach is very well organized with umbrellas, toilets, showers, lifeguard, first aids, beach volley courts, snack bars, water sports, excursion boats, a camping site, etc. 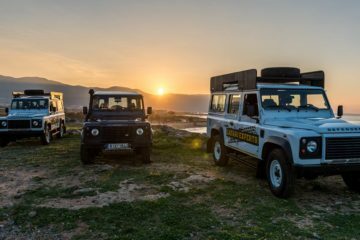 This is the best tour for swimming without paying any entrance fees, boat tickets etc. 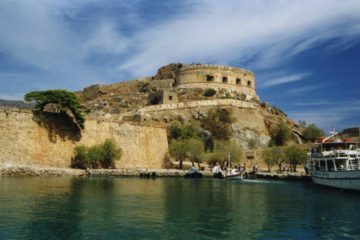 Guests who visit Matala beach, usually visit Spinalonga Island.